This IPS display with HDMI input supports multiple platforms. Hardware resolutions is rated at 800x400 pixels but via software this can be extended to 1920x1080 pixels. Supports popular mini PCs such as Raspberry Pi, BeagleBone Black, Banana Pi, as well as general desktop computers. 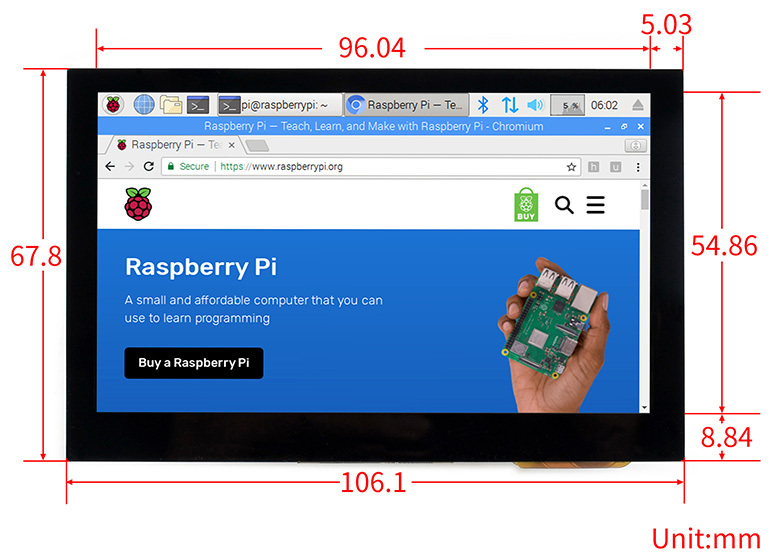 When working with Raspberry Pi, supports Raspbian/Ubuntu/Kali/Retropie/WIN10 IOT, driver free. When working as a computer monitor, supports Windows 10/8.1/8/7, five-points touch, driver free. 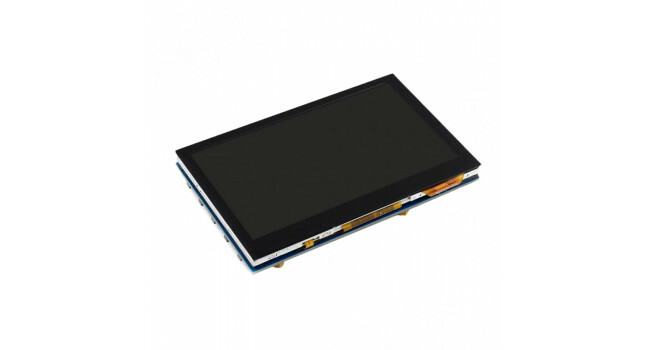 Features a multi languages OSD menu, for power management, brightness/contrast adjustment, etc. An added 3.5mm audio jack, speaker connector, supports HDMI audio output. 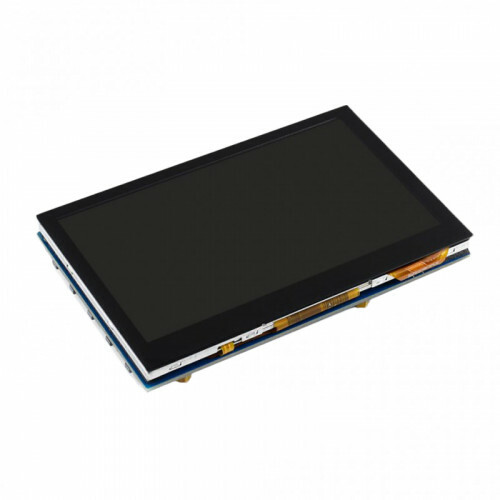 Tags: lcd, hdmi, display, 800x400, 1920x1080, ips, windows, raspberry pi, pi, 4.3"